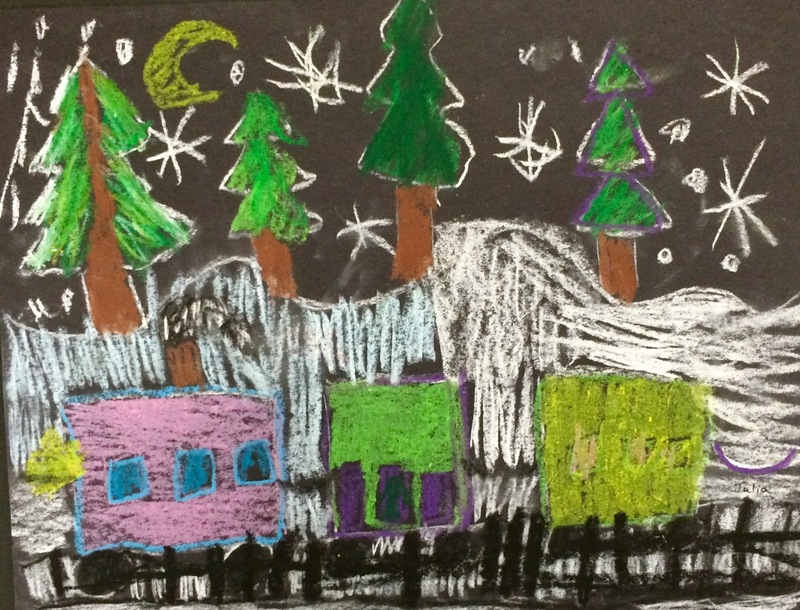 Here are a few samples of our holiday trains loosely inspired by the Polar Express. 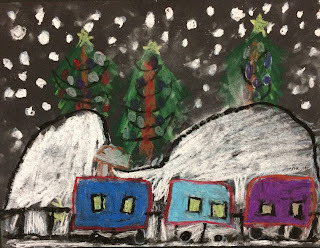 Students used white chalk to draw their trains in the foreground a mountain in the middle ground and snow and Pine trees in the background. 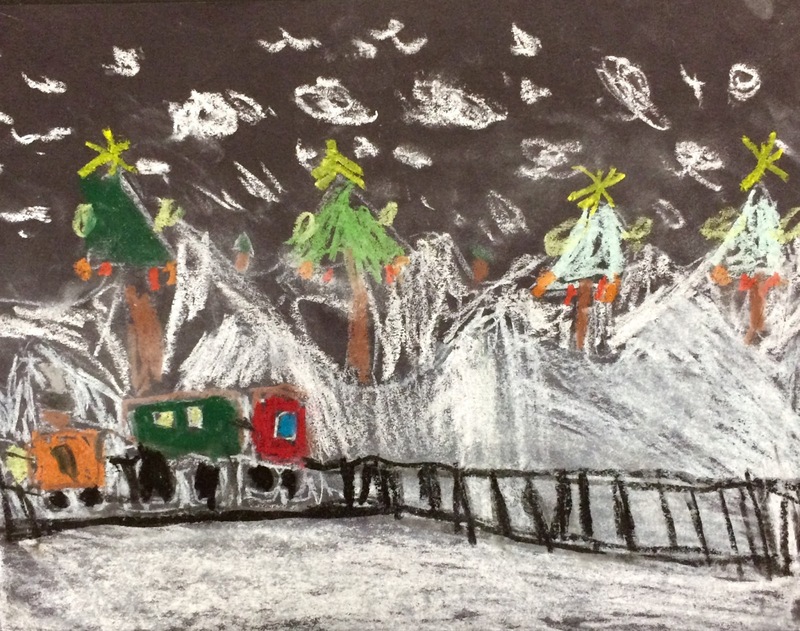 Next we used oil pastel to color in the trains and Pine trees. 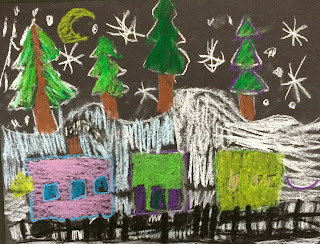 We discussed many color options to use on our dark black construction paper and understood it was necessary to press hard for our colors to show up and to cover the black paper. 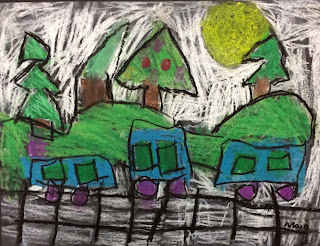 Some of the students did a nice job shading and highlighting their trees. 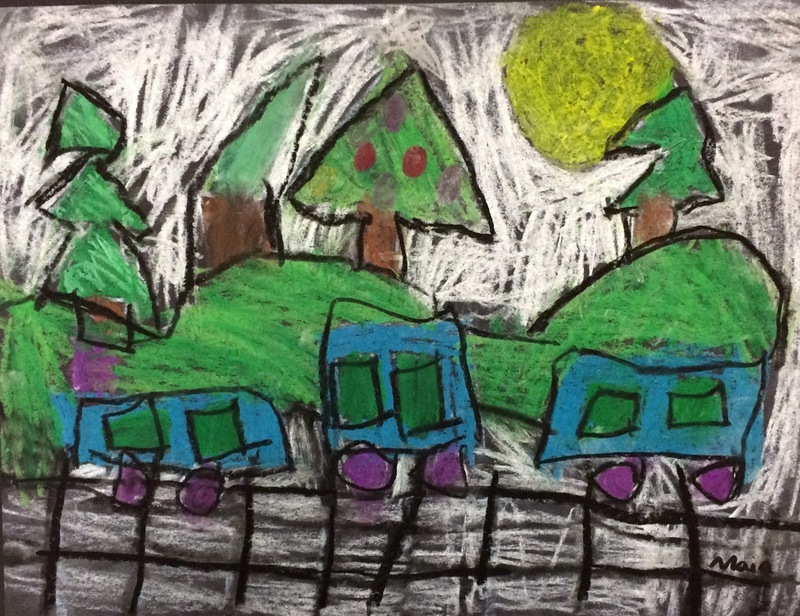 There was a nice variety in the interpretation of the types of shapes and lines that could all result in a Pine tree. 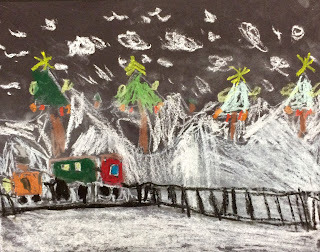 White chalk was used last to color in the hills and snowflakes. The students were able to complete this lesson in two forty minute classes. The paper we used was 9x12 which was perfect.